When working on a blog and marketing it, Many a times you have to give an email address to avail some benefits. Now mostly you can be assured, that your email will not come out in public. But, this might not be true for every website. Because huge number of online players are willing to give you anything to get a list of few names with their email addresses interested in a particular topic. So you may find your inbox filled with huge number of spam mails. 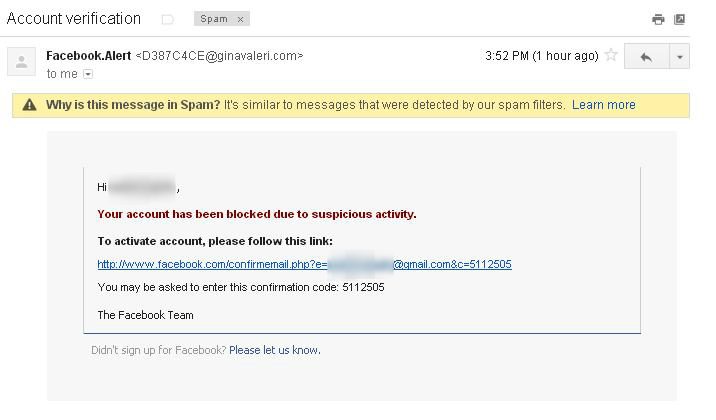 Just because you gave your email to a website and for your generosity, the website in turn sold your email to spammers. Google's and yahoo's fine spam filtering skills might help a lot by transfering spam to your spam box. But, that is valid upto a point. 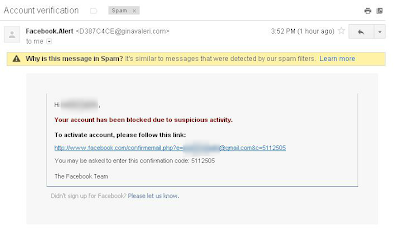 Spammers have devised new an improved techniques for phishing and fraud using spam mails as a medium. What should you do in order to determine which mail is valid and authentic. Here are some simple steps to do so. I recieved an email, a while ago, about facebook. Now gmail was very smart to understand the move and mark it as a spam. Here is the mail. The mail looks a lot like Facebook alert email, but for preliminary examinations, just look at the sender's address. There is no Facebook domain (First Red Flag). Next see the message text, "You may be asked to enter the confirmation code ...." Facebook alerts do not use the same language,(If you remember) So this was (Second Red Flag). Now just hover you mouse over the link, do not click it but just move it over the link. If you're using Chrome or firefox, you can easily see the actual link it is pointed to, no the link displayed,( A nice trick by the poor scammer), This will be (the Third Red Flag). If the mail satisfies all the requirements but you still have doubts, just follow the steps given below. 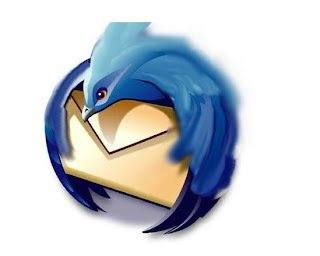 STEP II : Click on the downward arrow button given at the top right hand corner of your mail box. STEP III : After clicking on 'Show Original' button in the options given above, You will be greeted by the following screen with the complete transaction details. STEP IV : Find out the IP address of the sender and copy it. STEP V : And paste the ip address in the space provided. 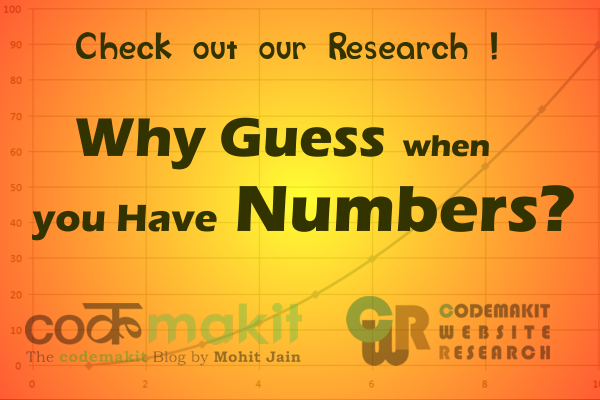 Now click on 'Go' and the website will analyze and give you a report almost instantly in addition to an idea about the authenticity of the website. 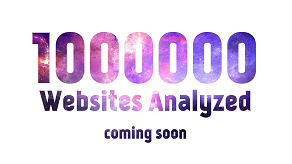 However you can be sure of a website if it has been certified, by leading experts. After seeing the report, now you can be sure, what should be done with the email.